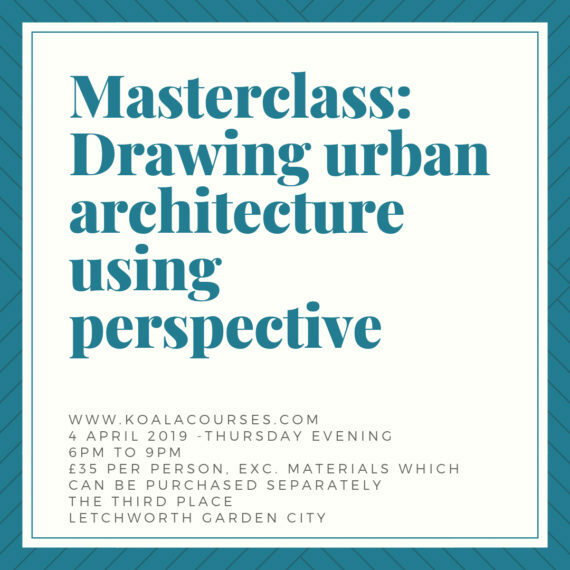 This aim of this masterclass will help you learn to draw urban architecture using perspective techniques, in graphite and ink. This class will include essential concepts such as the horizon line and vanishing point. Beginners and improvers are most welcome. Koala Courses offers creative workshops in fine art & sewing, which may be blended with a little science to mix things up.